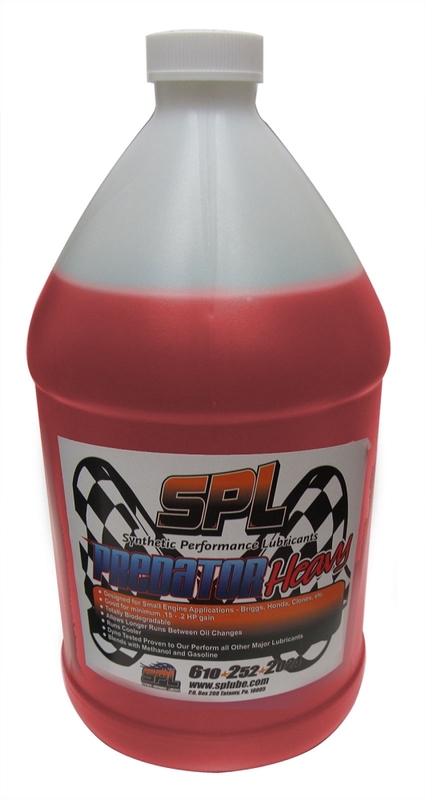 PREDATOR LIGHT is a high performance racing synthetic oil recommended for all Briggs® flathead and OHV Go-Kart engines. High load testing shows extreme lubrication capability under racing conditions. The low friction and low viscosity typically produce a .2 horsepower gain in a Briggs® flathead engine with lower (nominally 20?F) cylinder head temperature. No carbon build-up on valves or valvetrain components also results in more runs without the need to change oil.